A man took his dog to the vets and asked the vet to completely remove the dogs tail. 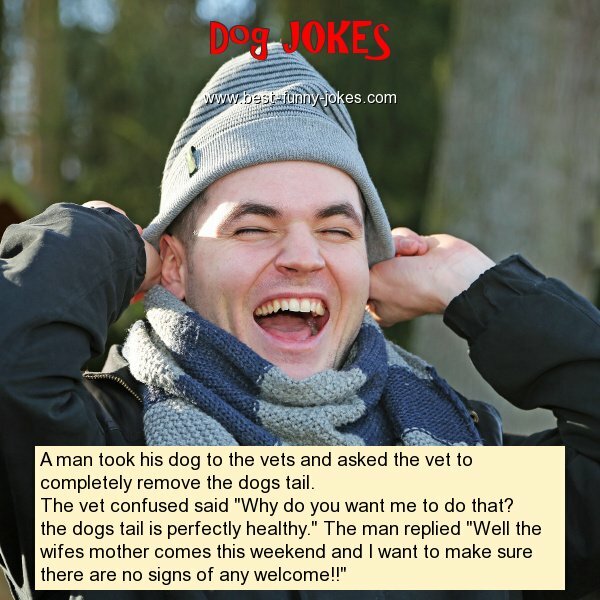 The vet confused said "Why do you want me to do that? the dogs tail is perfectly healthy." The man replied "Well the wifes mother comes this weekend and I want to make sure there are no signs of any welcome!!"